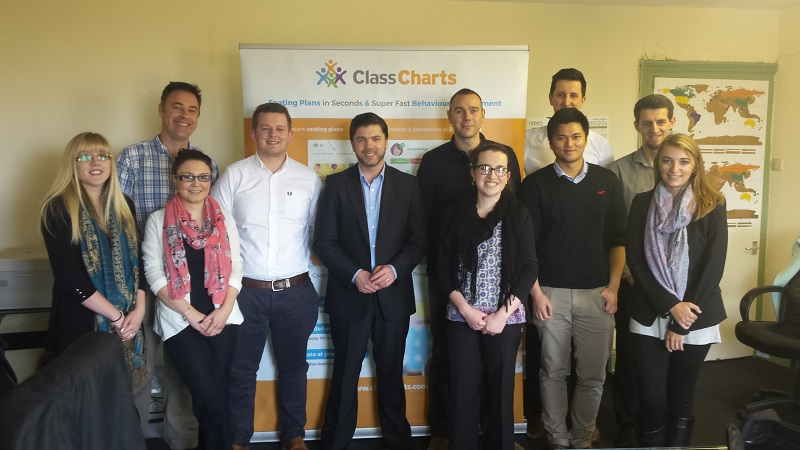 Edukey were proud to host the Secretary of State for Wales, Stephen Crabb MP, at our Fishguard Offices today. Stephen was invited to meet the team and discuss the benefits and challenges of running a global Ed Tech company from his picturesque constituency of Pembrokeshire. As Mr Crabb is embarking on a trade mission across Wales to find and support global exporting companies, the opportunity to learn as much as he did about Education Technology and exactly how we can operate outside of the typical City of London bubble was invaluable. The meeting was immensely helpful for our director, Duncan, and Stephen with a number of follow up meetings and lines of communications opening to support Edukey’s growth and infrastructure. As we continue to grow, both in employees and clients, the support of local government and councils will be invaluable. Having Stephen’s full support is extremely validating for all of us at Edukey and we look forward to working closely with him in the future.